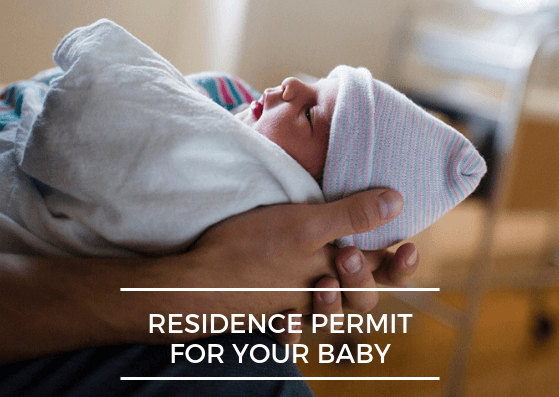 How Can Your Newborn Child Get UAE Residence Visa? Have you thought about all the paperwork especially when it comes time to bring new family member into this world? From the beginning, you will be asked for marriage certificate, passport copy and residence visa in original or copy to open maternity file. Second thing need to check with your medical insurer whether it covers maternity or not? From toys to clothes, shampoo, diapers to use and vaccination records organizing this all can be challenging. This article will help you to organize all documents from birth registration to the residence visa of child. All hospitals provide “birth notification”(in Arabic) after discharging from maternity ward. Go to the Preventive Medicine Department at Al Baraha Hospital with notification of birth and parent’s passport & residence permit (original and copy). Fill out the application form and you will get birth certificate in Arabic version after paying 50 AED. Translate it into English to get visa. Request translation into English to get an English Version of the birth certificate. The Arabic version of the birth certificate will be needed for UAE visa processing. It is better to have birth certificate attestation on both English and Arabic versions by the UAE Ministry of Foreign Affairs. For passport check with your respective embassy along with attested birth certificate and passport size photographs of baby. Now you have legal documents of baby to travel. For living in UAE, you need to apply residence visa of baby. Note: Apply residence visa of new born baby within the one twenty days from birth otherwise you will be fined 25 AED for every single day for the next 180 days. Failure to apply for a visa still, will further increase the fine amount to AED 50 per day. The government of UAE provides both online and offline visa processing option to the residents. Offline visa application can be availed via licensed typing centers where visa application is typed and processed through the GDRFA [The General Directorate of Residency and Foreigners Affairs] of the respective emirate. The sponsor has the option to avail receiving message notification upon approval at every stage. Dubai Government has stipulated that all visa processing applications must be processed through Amer Centers. This is specific to Dubai residents only. These applications can be tracked online or offline through Ministry of Interior. Step 1: Submit the child’s visa application via typing centres or Amer Centres [Dubai]. Step 2: Then this application form, baby’s original passport ,birth certificate, marriage certificate and 3 passport size photographs need to be submitted at the residence section of General Directorate of Residency & Foreign Affairs. Step 3: You can choose to receive baby’s passport with visa through courier or get it stamped on the spot for an additional fee. Note: If there is any plan to leave the country note that New baby cannot leave the country while residency visa is in progress. In other case of child traveling with others instead of his parents No objection certificate is also required.